Outokumpu, one of the largest companies in Finland, decided to renew its old HR systems to better support their global business. 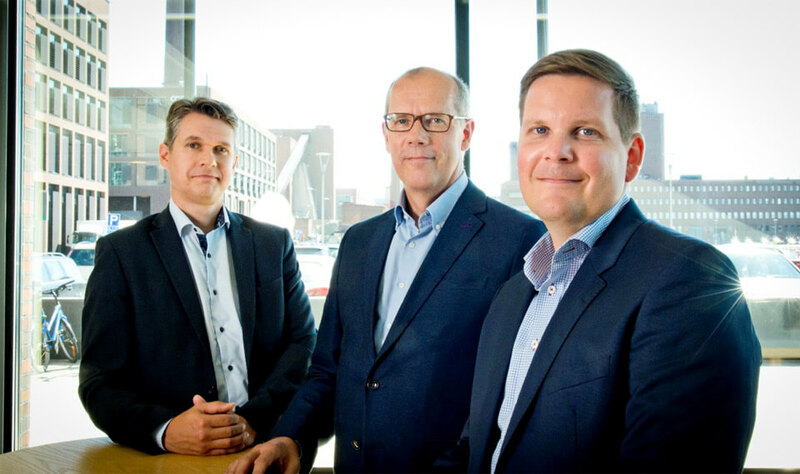 Petri Fernström (in the middle) from Outokumpu together with Tuomo Ropponen and Petteri Salomaa from Gavdi Finland are sharing highlights of the project, where the old SAP HR systems were replaced by a global SAP SuccessFactors cloud solution. As a result of an acquisition in 2012 there were two separate SAP HR systems in use, which were replaced by an SAP SuccessFactors cloud solution implemented by Gavdi. ”We made the acquisition of the stainless steel division of Thyssen Krupp, which led to an increased number of different systems and processes. Outokumpu has aimed to harmonise business processes in all areas”, says Petri Fernström, Outokumpu, VP Controlling and Processes. It was necessary for Outokumpu to implement a group wide HR system in order to provide an efficient and flexible business support, helping to meet the requirements of our multinational teams. ”SuccessFactors helps to share employee, organisational and talent data with all relevant parties regardless of your location or business unit”, said Gavdi project manager Petteri Salomaa. ”It is essential to be able to accelerate the decision making process and process efficiency based on relevant facts enabling the utilisation of company resources more efficiently”, says Fernström. Outokumpu has shifted its HR systems to the cloud via an SuccessFactors deployment. At the same time, the HR function has also been able to integrate more effectively within the business. ”Automation enables HR to contribute more value to a business by concentrating on strategic business objectives. The SaaS based solution is scalable and covers both small and large company needs”, Salomaa adds. ”The SuccessFactors platform is based on industry best practices providing HR with an effective business solution”, summarises Gavdi Managing Director Tuomo Ropponen.